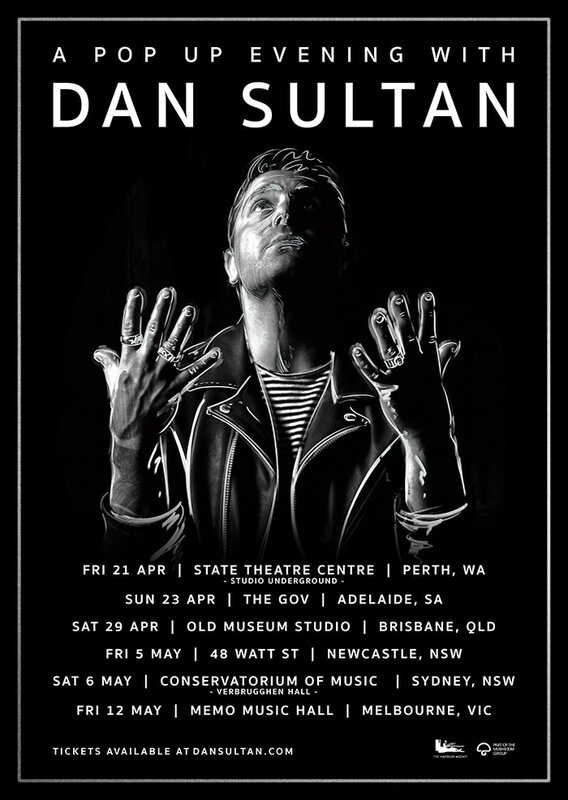 On the eve of placing the finishing touches on his hugely anticipated fourth studio album, Dan Sultan today announces a run of extremely intimate shows for April and May. The shows will see the ARIA Award winning artist play to fans in Perth, Adelaide, Brisbane, Newcastle, Sydney and finish up in Melbourne. The Pop-Up Tour will also see Dan road-testing new songs from the forthcoming album in a solo format and one of his most intimate settings to date. In addition to new material, including most recent single Magnetic, fans can look forward to hearing hits from his extensive repertoire of Blackbird, Dirty Ground EP, Get Out While You Can and Homemade Biscuits including Under Your Skin, Old Fitzroy, Kimberley Calling and The Same Man. Dan is also pleased to confirm new music is on the very near horizon, with a new single and album details to be announced shortly. Before embarking on the Pop-Up Tour, Dan will travel to Africa in partnership with renowned charity The Thin Green Line Foundation, an organisation dedicated to the welfare of Park Rangers in low-income countries and conflict zones worldwide. Departing on March 19, the week long program will see Dan venture on an incredible journey to Kenya, to connect with local Maasai Community Rangers in their tribal homelands. A team of Indigenous Australian Rangers will also undertake the journey, as part of a world-first conservation and cultural exchange program to share and improve local knowledge. The program will be led by Sean Willmore, The Thin Green Line Foundation Founder, with filmmaker Rhys Graham in tow to document the whole experience. Lots of big news coming for Dan Sultan. Don’t miss his most intimate shows to date and keep an eye out for more information on his fourth studio album release.